If you are building a website for a company or individual in the construction sector, then you will be pleased to learn that there is a great selection of WordPress themes that have been built specifically for this purpose. Whether it’s a website for an individual who is offering their services on a freelance basis, a large corporation that needs a new website to promote their brand and accomplishments, or anywhere in between, one of the themes in this collection is sure to meet your needs. Many of these themes include a selection of pre-built page layouts that make setting up your new websites as easy as possible. For those with more bespoke needs, look out for the themes that include customization options and page builder tools. Whichever theme you choose, you should have no trouble setting up a professional website to showcase and promote a construction related business in style. Yellow Business is a WordPress theme for creating professional construction business websites. If you want your website to be an online lead generation asset, then it’s vital that you choose a WordPress theme with a focused and professional design. The Yellow Business theme can definitely help you with this. After installing this theme, you can choose which of the high-quality demo homepage layouts you want to apply to your site as well as which of the internal pages you’d like to publish. With so many professional templates and layouts to work with, you should be able to find the right designs for your construction business that also appeal to your target audience. Yellow Business can help with adding the all-important content to your site too. Thanks to the bundled page builder tool, you’re no longer constrained by the limitations of the default WordPress editor. Now you can use a powerful drag-and-drop interface to create stylish content layouts and designs that will help set your website apart from the competition. If you want to take even greater creative control over your website, like some other construction company WordPress themes, Yellow Business includes a selection of pre-built header layouts that can be applied to your website in just a few clicks. One important aspect that a good construction company website needs is a portfolio that can be used to display completed projects. As Yellow Business includes over 15 portfolio design variants, adding this type of content to your website is very straightforward, regardless of your web design skills or experience. And if you do run into trouble, the online documentation and 24/7 help desk are on hand to help you out. Yellow Business is a brand new construction company WordPress theme that is packed with all the latest and greatest features. Construction has been built especially to help you grow your business. With a professional design that is perfectly suited to the task of creating a construction website, as well as all the essential features needed for such a job, this theme is well worth checking out. If flexibility and being able to add your own personality to a project is important to you, then the multiple layout options of the Construction theme should appeal. When setting up your website with this template, you’ll get four header layouts to choose from, each with their own style and menu system. Following on from there, you can then choose from one of the four homepage layouts on offer. These prebuilt designs give you the option of greeting your visitors in a number of different ways, including a full screen photograph display or even an auto-playing video background. If those layout options weren’t enough, you are also free to fire up the included premium Visual Composer page builder plugin and have a go at designing your own homepage layout. This tool also makes it easy to customize the included layouts in case you need to make any tweaks and improvements. Whichever way you decide to use this theme, getting it setup is a breeze. The one click demo importer significantly reduces the time and effort required to get your website online. After that, adding your own content is very straightforward thanks to the use of WordPress and its custom post types, not to mention the integrated layout tools, such as the Essential Grid plugin and the aforementioned Visual Composer. Construction gives you everything you need to create a professional online presence for your business, whether you want to use the out of the box templates or get a little creative. Real Factory is a flexible construction WordPress theme from the GoodLayers team. GoodLayers have a documented track record when it comes to creating powerful and popular WordPress themes. Real Factory is no exception. With four homepage demos to choose from, Real Factory can help you build a wide range of different websites in the construction industry. As the name of this theme suggests, creating a factory website is one option. 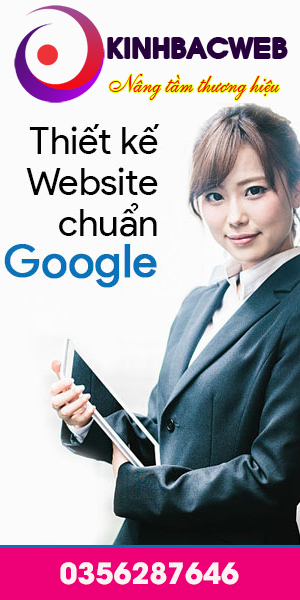 However, you can just as easily build a website for a construction firm, a logistics company, or even an ecommerce store dealing in factory and construction supplies. When setting up your new WordPress website, the Real Factory theme gives you the ability to choose from 19 different header layouts. Changing the colors, typography, and layout settings of your site at the touch of a button is also possible. Thanks to the inclusion of the GoodLayers drag-and-drop page builder tool, you can get even more creative with this theme. Through the builder’s user interface, you can create your own custom page layouts, populate them with a range of modules, as well as edit any of the Real Factory demo content. To provide you with even more options for your website, Real Factory also includes the premium Slider Revolution slideshow builder plugin. There’s also a maintenance mode which can help you keep your visitors informed as you work on your new website. The 19 blog layouts and 9 portfolio templates will be useful when it comes to adding new content to your site. Real Factory has an impressive feature list that’s combined with a collection of professional page layouts and templates. Construction has been created by the Anps team to help you build a stylish website for your business as quickly and easily as possible. When creating your construction website with WordPress and this theme, you get four different homepage design to choose from. Among these pre-built options, you’ll find a range of styles to suit your business. Once you’ve chosen a homepage design, you can then use the page layouts and templates included in the package to add the other essential elements to your website. The pre-built templates and layouts of the Construction theme cover the important pages that every professional website in this industry will need. This includes a selection of templates to promote the services you offer, a project section to showcase the work you’ve completed, an about us page to allow your potential clients get to know you better, and a contact page for accepting quotes and other messages from your visitors. To help you get your construction website looking exactly how you want it, this theme features a detailed admin control panel. Through the settings of the control panel, you can make a wide range of changes to your website, including color, typography, and layout configurations. For those with more advanced customization needs, the included Visual Composer plugin is on hand to help. This premium tool allows you to create custom page designs, all through an intuitive, front-end, drag-and-drop user interface. You’ll also find the premium Revolution Slider in the Construction theme package, making it easy to add advanced slideshows to your website. Even if you’re new to WordPress and website building in general, Construction aims to help you get your website online with as little effort as possible. Thanks to the library of documentation videos, and easy import tool, you shouldn’t have any trouble completing your project. No matter which service your business provides in the construction industry, this purpose built WordPress theme will help you get more leads from your website. AVXBuilder has two creative homepage designs for you to choose from for your construction website. As well as the two different homepage layouts, AVXBuilder has lots of other pre-built layouts and templates for the rest of your construction site. Thanks to this, when it comes to adding a blog, portfolio, and contact pages to your site, you can choose from many different templates for that content. To help make your website as interesting and engaging as possible, this construction company WordPress theme uses a good selection of page elements and widgets to enhance your content. You can see these content elements in action on the AVXBuilder theme demos, however, some examples include the pricing table widget that lets you easily list and compare your products or services, the testimonials slider that gives you the space to publish feedback from your clients, and the team member profile widget that allows you to showcase who will be working on the client projects. As AVXBuilder includes a powerful drag-and-drop page builder tool, you can choose exactly which content modules are displayed on your pages and how they are presented. Editing the pre-built content is very straightforward with the AVXBuilder theme, as is creating your own custom page designs with the page builder tool and its visual editor. The AVXBuilder theme also has a few useful features to help you generate leads from your construction company website. For starters, you can use the email optin forms to grow your newsletter. This can be a good way to keep in touch with the visitors to your site who aren’t yet ready to start working with you but might want to sometime in the future. There’s also an online contact and request a quote form that makes it easy for those visitors who are ready to start working with you to get in touch. You can also add your phone number to the header, footer, and other areas of your site so people can call you instantly. AVXBuilder is a modern theme with all the features anyone creating a construction company website should need. 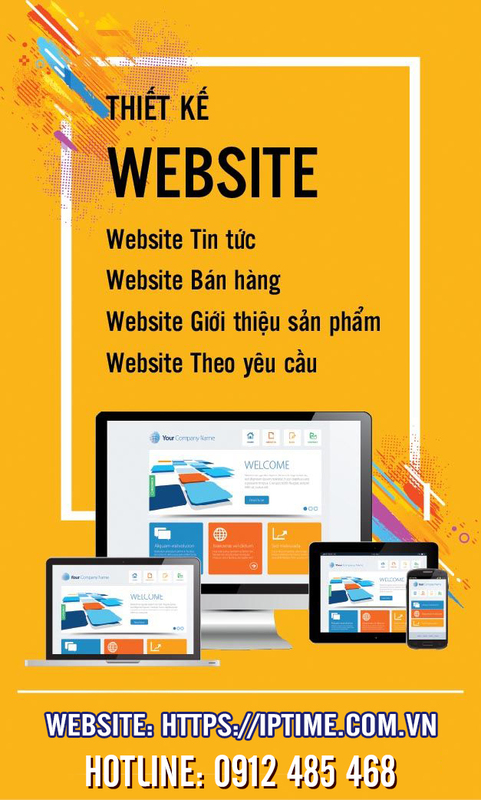 The Builders is packed with all the latest and greatest tools and features required for designing the perfect website for your construction company. As this is a newly released WordPress theme, you’ll have the ability to build a modern and fully up to date website if you choose The Builders. Unlike some of the other options in this collection, The Builder does only have one website demo to work with. However, having less pre-built website modes to browse when setting up your site could, in fact, speed things up. It’s also worth pointing out that thanks to the inclusion of the powerful Visual Composer page builder plugin, you’re certainly not limited to using this theme in its default configuration. Whether you’re using Visual Composer and its drag-and-drop page editor interface or the extensive set of theme customization options, you’ll have no trouble personalizing the content included with The Builders. Designing your own website from the ground up shouldn’t be a problem either. When it comes to integrated tools, you’ll also find the Slider Revolution slideshow builder tool in the package. Another premium plugin that you’d otherwise have to pay for, Slider Revolution gives you an intuitive way to create animated slideshows, online presentations, and other types of engaging content for your WordPress-powered construction company website. If you’re looking for a solid all-in-one package with a modern design, then The Builders theme certainly checks all the boxes. Cast is a flexible construction WordPress theme that gives you four different homepage designs to choose from for your business website. As well as the selection of homepages, Cast also includes a useful library of templates that cover all of the most important pages that your construction website will need. If you want to personalize any of these templates to help them better meet your needs, the premium Visual Composer plugin is included in the Cast theme package. With this powerful drag-and-drop page builder at your disposal, you’ll not only be able to modify the included content with ease, but you’ll also be able to build your own custom designs without editing any code. As well as the Visual Composer plugin, you also get access to the premium Slider Revolution plugin. This tool can be used to create advanced animated slideshows for your website, giving you an easy way to make your construction site stand out from the crowd and grab the attention of your visitors. Cast has many other useful features to help you create a professional website and generate more leads. This includes prebuilt contact forms that make it easy for your visitors to request a quote, pop-up optin forms to help you grow your email list, and all the ecommerce features you’ll need to sell products and services online, as well as take deposits for scheduled jobs. All of these great features help to make Cast a competitive option in this collection of the best construction themes for WordPress. Hood is a multi-purpose WordPress theme with website demos for all types of projects and sectors. Although you can customize any of the Hood demos to adjust them to meet your needs, the purpose built construction demo is ideal for creating websites for architecture, planning, renovation, building, and other types of similar businesses. The default Hood theme construction demo features a large full screen animated slider that’s perfect for displaying photographs of your accomplishments. As visitors scroll down the homepage, they can view information about the services being provided, completed projects, and contact information. However, as Visual Composer and the Ultimate Addons pack are included in the Hood theme package, you won’t have any problems adjusting the layout or creating your own custom homepage design. Other ways you can personalize this theme include adjusting the colors, fonts, and layout options through the Hood control panel. You can also use the included Slider Revolution and LayerSlider slideshow builder tools to create custom sliders for your website. The premium Essential Grid builder plugin is on hand too, helping you to design new and interesting page layouts for your content. With 10 different header layouts to choose from, Hood makes it easy to add the right type of navigation area to your website. As well as being multilingual ready, Hood has also been translated into an impressive number of languages making this theme a good choice for creating an international construction website. Apex by Templatic has been developed for anyone building a website for a construction company. Whether you are a builder, an architect, working as a freelancer or running an agency, this theme is ideal for anyone promoting their construction industry related services. The Apex construction theme is powered by the Foundation framework and has been designed to deliver a fast loading and mobile-friendly responsive website for your business. The theme uses custom post types to allow you to publish the properties you’ve worked on, keeping that content separate from your regular blog posts. Each of the individual property pages that you create can include a selection of images, a description, videos, downloadable brochures, and a location map. When it comes to setting up the homepage of your site, the Apex theme includes a widgetized homepage layout. This allows you to simply drag and drop the available elements into place to create the ideal homepage for your website. Those widget elements that can be dragged and dropped into place include a full-width slider, a latest property slider, a brochure download button, contact details, a contact form, social media links, client testimonials, and much more, giving you all the tools you need to built a custom homepage layout with ease. Apex also makes it easy to customise the colours and fonts used on your site. Thanks to support for the WordPress Theme Customizer tool, it's possible to make changes to the appearance of your website through the easy to use editor, while also getting a live preview of the changes as you make them, helping you to get that personalized look from an off the shelf theme. As with all Templatic themes, it's possible to not only use the theme demo, but also create a test site and experience the advanced back end to check out the features and see how easy they are to use. Apex is a great value construction WordPress theme that includes all the features you need to build a professional website to promote your business. BuildPress has been designed to cater to those working in the construction industries who need to create an online presence, or give their existing website an overhaul. Whether you are offering your services on an individual basis, or providing solutions delivered by a team of professionals, BuildPress has all the features you need to help your website stand out from the competition and provide potential clients with all the information they need. With an intuitive page builder tool included with this theme, as well as the custom page layouts the developers have created, you can also go ahead and build your own designs, all without the need to write any code. If you don’t want to make too many wide-reaching changes to the theme, such as creating custom layouts, but would still like to personalize the fonts, colours, and other elements of your site, then you will be pleased to know BuildPress makes use of the WordPress real-time customizer. This allows you to make tweaks to the look and feel of your site with a live preview. Setting up the BuildPress theme is about as simple as it gets, thanks to the one-click demo installer the developers have incorporated into the package. Customers also get access to a library of instructional videos, support documentation, and screencasts, covering how to setup the theme and customize it. With a responsive and retina ready design, your construction website will be able to meet all the challenges and demands placed upon a modern website with ease. Constructo has been created for anyone who needs to build a website to promote their construction business online. While there are other themes that have been built for the same purpose, Constructo does a good job of distinguishing itself from the competition. This is thanks to its highly professional design which helps to make it a great choice for architecture websites as well as other higher end fields of the construction industry. Constructo functions like a portfolio theme, but one that has been tailored for the construction industry. This means you get plenty of opportunities to showcase your completed projects as well as highlighting the skills and services you have to offer. There is also a homepage widget for displaying the logos of clients that you’ve previously worked with, which can be used to help increase your credibility. As Constructo includes the premium Visual Composer drag and drop page builder plugin you can easily modify any of the pre-built page templates that make up this theme. This is in addition to creating your own complex designs from scratch through the intuitive interface of this tool. The premium Revolution Slider plugin is also a part of this theme, allowing you to create animated full screen slideshows to present your most important content in eye catching style. Other integrations and features include unlimited sidebars, wide and boxed modes, and extensive online documentation. Constructo is packed with useful features, and includes plenty of customization options to help you build a professional website for any construction related business. Renovation is a great theme for building a website to show off your architecture, building, interior design, or other construction based services. When it comes to showcasing your work, the theme includes the premium Revolution Slider plugin which allows you to add a full-width image and content slider to the homepage of your site to greet your visitors as they arrive. You can also add a multicolumn icon menu to your homepage and inner pages to highlight the different services you offer. The theme includes a selection of useful shortcodes for inserting elements into your content, including buttons, maps, sliders, and even pricing tables, allowing your visitors to compare your services in one easy to read format. The portfolio section of the Renovation theme is well thought out and gives you the opportunity to highlight your best work, or the different types of projects you work on. The theme gives you access to the demo content which can be easily imported into your site, while the customization options allow you to personalize its appearance to meet the needs of your brand. The included Photoshop image files give you the option of making changes to those in order to achieve the look you desire. Renovation is a feature rich theme that includes some good customisation tools for personalizing your website. MIES is described as an avant-garde architecture WordPress theme, and it does a great job of standing out from the completion, thanks to its eye catching design. This theme combines full screen images, video backgrounds, parallax scrolling, and a mobile responsive layout to great effect in order to help you present the best qualities of your brand to your visitors. Completed projects can be published in the portfolio section of your website that this theme includes, while the collapsible menu makes it easy for visitors to find their way around the website, without obscuring your photographs and other types of content. To help spread the work about the services you offer and projects you’ve worked on, the MIES theme includes integrated social media sharing buttons. The theme has also been built to take advantage of Facebook Open Graph, Twitter Cards, and Schema.org for Google Rich Snippets. This all means that your content will not only be easy to share, but will look really impressive when it is shared, helping you to get more visitors back to your website. Despite being packed with features and functionality, the developers of MIES have worked hard to make this theme as easy to setup as possible. The package includes one-click sample data that allows you to set your website up to look just like the demo version in no time at all. The theme also uses a live customizer tool to enable you to see how your changes will look to your visitors as you make them in real time. With a bold, full screen design and lots of nice visual elements throughout the theme, MIES could be a great fit for your next architecture or construction website project. The Contractor makes it easy to present construction and architecture projects online, in one nicely designed package. Each of the projects that you create on your site can have their own page, complete with a full-width header image and optional slider, a lightbox photo gallery, and a text description. The featured images for each post or project can include animated images that play when the mouse cursor hovers over them. When it comes to displaying the members of your team, The Contractor doesn't disappoint either. The appearance of your website can be easily customized thanks to the support for the native WordPress Customizer. This allows you to change the colours and other appearance settings, all through a visual editor with a live preview. Thanks to the support for mobile devices and Retina displays, no matter what device your website is viewed on it will look its best. With an interesting navigation system and support for full-width images, it's easy to build an eye catching website with The Contractor. INDUS comes in three main configurations that can help you build a light, dark, or Arabic version of your website. Throughout these three options, the overall look and tone of the theme makes it an ideal choice for mining, steelworks, welding, and oil based sectors of the construction industry. However, thanks to the integration of the premium Visual Composer drag and drop page builder plugin, you can really customize any of the existing elements of this theme, or easily create your own – all without the need to edit any code. As well as the Visual Composer plugin, the premium Revolution Slider plugin has also been integrated into the INDUS theme. This not only saves you money, but also makes it easy to add animated, full screen, slideshows to your posts and pages. As the theme includes all the dummy data to get your website up and running just like the demo version, you get access to a number of pre-built slideshows to help save you time. The design of this newly related construction theme is really well suited to the type of industries it is being aimed at. This means you can get your website online with as little effort as possible, thanks to its pre-built layouts and content. Parker is a highly versatile WordPress theme that comes with a selection of homepage layouts and custom styles to choose from. Through the different layout options, you can easily setup a website with a stunning, eye catching full-width video background, or alternatively, choose something a bit more understated such as a flat menu system. As well as the homepage layouts there are also 12 other page templates to make use of, including pages for detailing your projects, and the about us and contact pages. When it comes to customising your site, there are two colour skins to choose from which can then be further personalized through the theme options control panel. By mixing and matching the included background options and pattern, as well as editing the supplied Photoshop PSD image files, you can really make your Parker powered website your own. The Parker construction theme includes lots of little touches that will help your website stand out from the competition, such as page loading animations and support for icons fonts. With Google Fonts integration too, you really can get the look you want for your content. For those seeking a theme that is packed with options for defining how your site will look, Parker is a good choice. Avanter is a great choice for those looking for a construction focused theme with a corporate slant. The layout and features of the theme make it a good option for conveying your firm’s mission statement and ethos, while giving you plenty of opportunity to showcase your completed projects. With Avanter you can create unlimited portfolio items, while also adding a blog to keep your visitors and potential clients up to date. To help you get your new website up and running as quickly as possible Avanter includes a detailed set of documentation and instructional videos, as well as all the demo content you need to populate your site with dummy content while working on your layout. This construction theme has been built with support for high resolution Retina displays and smaller screen devices and is suitable for use with the free WooCommerce online shop builder plugin. Billio makes use of the some of the most popular and up to date web design trends in order to help you create a stylish and modern construction WordPress website. If you choose this theme, the home page of your website can be divided up into multiple segments, with each part highlighting a different aspect of your business and what separates it from the competition. As your visitors scroll down the front page of your website, they can view your client testimonials, explore your portfolio, and see what services you have to offer. The Billio theme makes use of subtle animations to really help your content stand out on the page and create a memorable impression on your visitors. As you would expect from a modern WordPress theme, any websites you create with Billio will be fully mobile-responsive, to cater to smartphone and tablet using visitors. The Billio theme package includes the premium Visual Composer and Revolution Slider plugins to help your content really stand out from the crowd. If you are looking for a big and bold WordPress theme to promote your business online, then Billio is well worth checking out. Batakoo has all the features you would expect to find in the best premium WordPress themes, all packaged up in a template that is ideal for promoting a business in the construction industry. Some of the impressive features and characteristics of Batakoo include integration of the premium Revolution Slider plugin, over 600 Google Fonts to choose from, and a responsive design for mobile device compatibility. This construction theme also includes a selection of useful page templates. These cover such uses as a contact page, FAQ, portfolio, client testimonials, and an attractive blog layout. When it comes to making changes to the appearance of your website – from fonts, to colours, and logos – the developers of Batakoo have built this theme so that it can make use of the WordPress Customizer tool. This gives you a live preview of any changes you make, saving you from having to switch browser tabs and refresh windows. On top of all this, the Batakoo theme package also includes a proprietary drag and drop page builder tool. While this isn’t a front end builder tool, it does allow you to easily create complex page layouts and then drag and drop the available elements into place. This tool makes Batakoo a highly flexible theme that helps you break free from the traditional post screen constraints of WordPress. With all the main bases covered in terms of features, Batakoo adds an attractive design into the mix to help you create a professional looking construction website with WordPress. Structure aims to give you everything you need to promote your construction-related business online, in order to help attract new clients to your services. When using Structure for your website, you get six pre-built home page layouts to choose from. Each one has a different look, and at least one of them should suit your personal tastes. Each home page layout be easily applied at the touch of a few buttons. In addition to those layouts, there are also four pre-defined colour schemes to choose from, as well as six header layout options to make use of. However, you aren’t just limited to the pre-built layouts and configurations. Almost every aspect of your website can be personalized. This takes place through the WordPress Customizer tool, giving you a user friendly interface and live preview of your changes as you make them. This construction theme includes four premium plugins to help you make your website even more attractive. These tools include Visual Composer, Slider Revolution, and Essential Grid, as well as an upgrade package for Visual Composer. Together they can really help you make the most of your website. The demo content that comes with the theme can also be installed in one click, enabling you to get your website online even faster. Structure gives you a modern design for your website, with a number of pre-built layouts to choose from, as well as plenty of customization options for those who want a more personalized look. Housebuild is a feature packed WordPress theme that has been built to help you create a website for any type of company associated with the construction trade. As well as its great array of features, the design and visual appearance of Housebuild makes it an excellent choice for creating a professional looking website with minimal effort. With this theme, you not only get the opportunity to easily add full screen animated content sliders to your posts and pages, but also the ability to choose from an unlimited number of colours in order to customize the different areas of your website. Housebuild includes a selection of useful page templates that can be used to present the different sections and content on your website in the best possible way. There are also a number of different blog page layouts to choose from for organizing the blog content on your website. This theme has been built to be compatible with the WordPress Customizer tool, allowing you to make changes to the appearance of your website with a live, front end preview as your modifications are applied. The feature list and highlights of this theme also includes the Visual Composer premium page builder plugin which is integrated into the package and allows you to create your own advanced page layouts, the popular Slider Revolution plugin, and the integration of all 600+ Google Fonts. Housebuild also makes use of parallax scrolling, a fixed header menu area, and a portfolio section to showcase your completed projects. Housebuild makes use of a full width layout to give you a great opportunity to really catch the attention of your visitors and let them know what services you provide. Contactor is a newly released WordPress theme that gives you the ability to create a fully modern and up to date website for your construction or contractor business. The full width layout and mobile-friendly design means that your website will look equally great on the highest resolution desktop displays, as it does on the most portable handheld smartphones and tablet devices. Contractor is packed with useful features. This includes a fast setup process that will help you get your website online in a matter minutes. The theme package also includes a number of pre-built layout configurations and page templates to help save you time when building out your website. You also get access to the premium Visual Composer and Slider Revolution plugins. This then makes it easy to create your own custom page layouts and attention grabbing animated content sliders. While the Contractor theme looks great out of the box, almost every aspect of it can be easily customized, all through a user friendly interface. Contractor is a modern and flexible WordPress theme that can really help you promote your offline business online. BuildMe has been built to ensure your website loads as quickly as possible. The main benefit of this is that your visitors won’t be put off by long loading times, while the speed of your website will help it to rank more prominently in the search engines. As BuildMe can be used for a range of different businesses in the construction sector, it comes with over 12 pre-built layouts and configurations. Each of these options can be installed in just a few mouse clicks, making it very easy to lay the foundation of your new website. Each of those layouts can be customized using the included Visual Composer plugin. Alternatively, you can have a go at creating your own designs from scratch. As well as building your own custom page layouts, you can also make smaller changes, such as choosing different fonts and colours, through the visual theme customizer tool. If you are looking for a theme that can help you offer your visitors a great user experience, while also doing all it can to follow the Google page speed guidelines, BuildMe could be a great choice. Arkitekt has been specifically built for anyone who needs a website to promote their architecture firm. The full-width image slider on the homepage makes it very easy to showcase some of your best work to visitors as soon as they land on your site. The scrolling portfolio gallery section gives you a further opportunity to let your potential clients see exactly what you can do, while the news section of the theme allows you to publish regular blog posts or updates for sharing your latest developments with your visitors. When it comes to creating your own page layouts and templates, the developers of Arkitekt have included two premium plugins: Visual Composer and Revolution Slider, giving you a combined total saving of $49 – $1 more than the cost of the theme itself. With a clean and spacious design that does a great job of letting photos take centre stage, Arkitekt is an attractive theme for those working in the construction industry. Arche is a futuristic looking WordPress theme that has clearly been built with architects and graphic designers in mind. The included premium 3D Layer Slider plugin makes it easy to add eye catching animated content and image sliders to anywhere on your site, including the homepage. The Arche theme also includes a drag and drop page builder tool for creating those custom layouts that will make your website stand out from the competition. As well as being able to create your own layouts with the bundled builder tool, there is a good selection of pre-built layouts to choose from. These multiple layouts cover the blog, galleries, and portfolios, giving you the ability to choose the right template for each section of your site. Arche is a nice looking theme that gives you plenty of flexibility for building your architecture or other construction focused website. Constructy is a flexible WordPress theme that has been designed to help a range of businesses in the construction sector to attract more clients. Whether you are building a website for an architecture, construction, renovation, engineering, plumbing or corporate firm or agency, Constructy is adaptable enough to meet your needs. Out of the box, this theme includes a good selection of pre-built page templates. These pages should cover most of your needs, including contact, about us, company history, services, and portfolio pages. Simply login and then add your own custom content to these page templates. If you want to customize the theme further, and create your own pages, then the inclusion of the premium Visual Composer plugin makes it easy to build your own advanced layouts, all without the need to edit any code. You will also find an intuitive slider tool in the package. This addition enables you to add creative and animated content slideshows to any of the pages on your website. As well as the creative page layouts used throughout this theme, the blog post and blog archive templates are both very nicely designed. This makes Constructy a great choice for anyone who wants to add a blog to their construction website and use content marketing to attract new clients to their business. The team behind the Constructy theme are on hand to install the template after you’ve made a purchase. This can really help you to get your website online as quickly and as effortlessly as possible. Modernist comes with a layout builder tool and two colour variations to help you build a personalized website for your architecture or construction firm. The light and dark colour skins allow you to quickly change the whole personality of the theme to suit the type of website you are building and the company you are promoting. The design and layout is responsive so visitors using their smartphone or tablet will be just as at home as those on their desktop or laptop computers. The Modernist theme comes with editable Photoshop versions of each image file giving you a great opportunity to really customise the theme and make it your own.